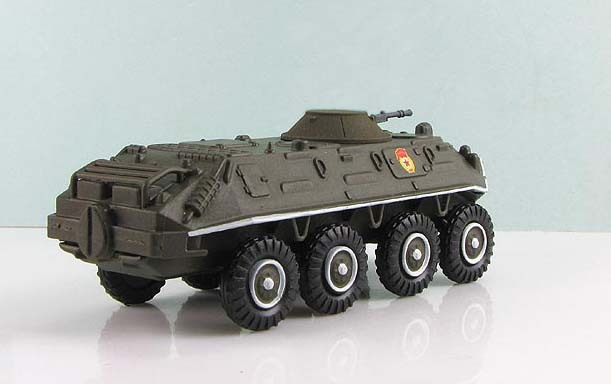 BTR-60PB (1966) - Improved sighting system for 14.5 mm KPVT heavy machine gun and improved GAZ-49B engine. The turret has modified to include new telescopic sight, the 14.5 mm KPVT heavy machine gun and the 7.62 mm PKT coaxial light machine gun were moved to the right while the telescopic sight was mounted coaxially to the left. The armour protection has also been improved. 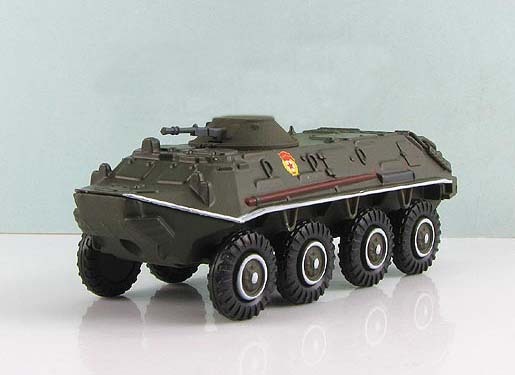 The frontal armour of BTR-60PB can withstand fire with use of 7.62 mm bullets from any range while the rest of its armour protection can withstand fire with use of 7.62 mm bullets from range of 100 m. It has a filtration and over pressurization system for NBC protection. It also has self-sealing tires, a central tire inflation system and antennae mount on the right hand side of the rear of the roof. It has a side door in the left hand side of the front part of the troop compartment. 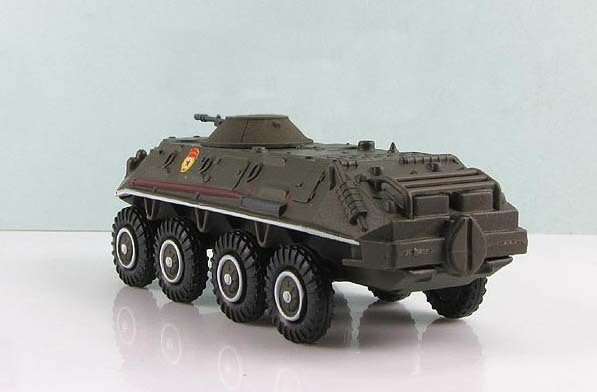 Some BTR-60PB also lack one of the firing ports on the left hand side of the hull. Late production BTR-60PB have the same sighting improvement as the BTR-70, which consists of a small additional episcope sight which is facing to the rear on the turret roof. The vehicle carries 500 rounds for 14.5 mm KPVT heavy machine gun and 3,000 rounds for 7.62 mm PKT coaxial light machine gun. It was also known under designation GAZ-49B. 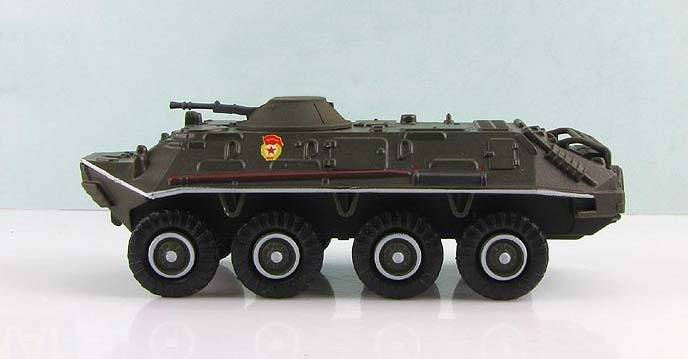 BTR-60PB produced during the BTR-80 production run. It has a side door in the right hand side of the front part of the troop compartment.